At school, my art teacher once told me I had a ‘strong line’. By this, he meant I leaned heavily on my implements and I wasn’t afraid to leave a definite mark. I had a good eye for capturing the shape of something on paper, and practically the only thing I was confident of in life was the impression I could make when wielding a pencil. Of course, there are good and bad things about this, and the main drawback to having a strong line is that making changes is hard. In art, I often found myself junking a piece if I made a mistake, both because I usually left an indelible line on my work surface that no eraser could fix, and also because it was hard for me to imagine the drawing any other way. In writing, this can mean that I labour so long over my first draft that it is a strong piece of work, when done – but very fixed. It’s like the words carve out a channel in my mind, the same as a pencil nib through the grain of a page. I have often wished for a weaker line, in life and in art, because the reality is: no good writing comes without editing, and the more flexible your first drafts can be, all the better for you. Editing is both something I love, and something I hate. With each change, I have to disassemble the ‘line’ of my story – take my eraser to it, ignoring the groove in the paper left by the previous version – while always bearing in mind that every edit is helping. With a drawing, you can often see the improvement straight away, but it can be harder with a long-form piece of writing to understand how a good edit makes everything, from structure to story to sentences, better. It is hard work – far harder, for me, than the actual writing. My debut novel, The Eye of the North, is no exception to the editing process. Before I even submitted it to agents, I worked on it myself through fourteen edits over the course of about six months. Its first draft was a mammoth 96,000 words which – for a Middle Grade novel – is rather on the bloated side, so the first few edits were focused on reducing the word count. Gradually, I pared it back to about 75,000 words, and this was reduced further in subsequent rounds of edits with my agent and editors. In the early stages, I got rid of a superfluous character, zapped repetitive phrases, and nixed needless description. I thought, when I began querying, that it was a fairly strong draft – and it did gain me representation, and eventually, two book deals. But the editing had only just begun. My agent, Polly Nolan, is an editorial agent with years of experience and expertise, and she put my book through the wringer. Before we began to submit it to publishers, she sent me an intensive, thorough, detailed and brilliant editorial analysis of the whole book, focusing on logical inconsistencies (there were a few), repetition of words, phrases, and entire plot structures (I wasn’t as astute at spotting those as I’d thought), and places where I’d left things under-explained – her favourite phrase was ‘help your reader!’ Eventually, we were happy to let it go. It sold straight away to the US, though the deal to the UK took quite a bit longer. Another round of edits with my US editor followed, focusing mostly on the same things Polly had picked up on, and asking for a different ending – the publisher wanted a clearer sense of things coming full circle, and of family rifts being healed, than I had previously described – and this was fantastic, because my original ending had always left me unsatisfied. It was something that only an astute editor could spot. Once the problem was identified, it took me less than 24 hours to write the ending as it currently appears – and it required very little editing! Some aspects of the book escaped relatively unscathed. Its structure, for instance, has remained the same throughout. Its opening line (“For as long as she could remember, Emmeline Widget had been sure her parents were trying to kill her”) has never altered. Some entire set-pieces, most notably with the character of Thing, have almost remained the same – perhaps I still retain some of my artistic ‘strong line’. But it’s through being edited, repeatedly, that I realised how changing one word, or the punctuation of a sentence, or a character’s body language, can have such a huge effect on a story. When my UK publisher edited the book, it was a much less labour-intensive process, as they were largely happy with the manuscript. They did – to my amusement – ask me for more detail in a few places, detail which I had been asked to cut for the US edition. This included a fuller description of my airship, The Cloud Catcher. The two editions, however, are so similar that I’d be surprised if anyone but me could spot the differences. Now that my book is published in the US, and about to be published in the UK and Ireland, I know that the editorial process is painful, but more than worthwhile. I don’t think I will ever enjoy opening the email which contains my editorial letter, but I do know that the worst bit is getting started. Once the work begins, and you can feel your book improving with every change you make, it’s the best feeling in the world. Well. Second-best to actually holding your finished book in your hands, at any rate. 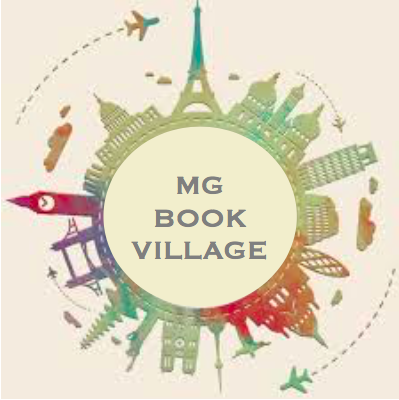 Thank you so much Sinéad for sharing your process and editorial experience with us at the MG Book Village. We wish you all the best with your book and imminent UK release, and look forward to future posts! Follow Sinéad O’Hart on Twitter at @SJOHart and learn more about her and her work here. The Eye of the North is currently available for purchase in the US wherever books are sold, including here. To preorder The Eye of the North in Ireland and the UK ahead of its release on 8th February, you can do so here.